Objectives: The aim of the study was to compare adductor canal block and femoral nerve block in the postoperative analgesia of patients undergoing elective arthroscopic knee surgery with respect to opioid use and Visual Analogue Scale (VAS), which is a unidimensional measurement of pain intensity. Method:. The study was designed and conducted prospectively between April 2016 and November 2016 in a tertiary care hospital but the results were evaluated retrospectively. Prior to the induction of general anesthesia for knee surgery, (the first) 20 consecutive patients underwent femoral nerve block, and (the second) 20 consecutive patients received adductor canal block. Patients receiving adductor canal block for analgesia were referred to as Group A and patients receiving femoral nerve block for analgesia were defined as Group F. Pain was evaluated using the VAS score.The results were compared statistically. Results: Both the femoral nerve block and adductor canal block groups showed similar results in terms of VAS and opioid use (p < 0.05). Conclusion: In the postoperative analgesia of patients undergoing elective arthroscopic knee surgery, no difference was found between adductor canal block and femoral nerve block in terms of opioid use and VAS scores. Moura EC, de Oliveira Honda CA, Bringel RC, Leal Pda C, FilhoGde J, Sakata RK. Minimum effective concentration of bupivacaine in ultrasound-guided femoral nerve block after arthroscopic knee meniscectomy: a randomized, double-blind, controlled trial. Pain Physician 2016;19:E79-86. Tantry TP, Muralishankar BG, Hukkery R. Use of a single injection femoral nerve block in the patients of total knee replacement with concomitant epidural analgesia. J Clin Diagn Res 2012;6:1744-48. Hanson NA, Derby RE, Auyong DB, Salinas FV, Delucca C, Nagy R, et al. Ultrasound-guided adductor canal block for arthroscopic medial meniscectomy: a randomized, double-blind trial. Can J Anaesth 2013;60:874-80. Iskandar H, Benard A, Ruel-Raymond J, Cochard G, Manaud B. Femoral block provides superior analgesia compared with intraarticular ropivacaine after anterior cruciate ligament reconstruction. Reg Anesth Pain Med 2003;28:29-32. Muraskin SI, Conrad B, Zheng N, Morey TE, Enneking FK. Falls associated with lower-extremity-nerve blocks: a pilot investigation of mechanisms. Reg Anesth Pain Med 2007;32:67-72. Grevstad U, Mathiesen O, Lind T, Dahl JB. Effect of adductor canal block on pain in patients with severe pain after total knee arthroplasty: a randomized study with individual patient analysis. Br J Anaesth 2014;112:912-9. Jæger P, Nielsen ZJ, Henningsen MH, Hilsted KL, Mathiesen O, Dahl JB. Adductorcanal block versus femoral nerve block and quadriceps strength: a randomized, double-blind, placebo-controlled, crossover study in healthy volunteers. Anesthesiology 2013;118:409-15. Elazab A, Al-zahrani A, Radwan-M, Salama A, Abd-elhady A. Evaluation of the adductor canal block for postoperative pain control and early functional recovery in arthroscopic knee surgery: a systematic review and meta-analysis of randomized trials. Orthop Rheumatol Open Access J 2015;1:555570. Lundblad M, Forssblad M, Eksborg S, Lönnqvist PA. Ultrasound-guided infrapatellar nerve block for anterior cruciate ligament repair: a prospective, randomised, double- blind, placebo controlled clinical trial. 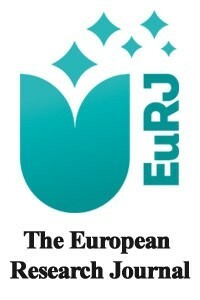 Eur J Anaesthesiol 2011;28:511-8. Hsu LP, Oh S, Nuber GW, Doty R Jr, Kendall MC, Gryzlo S, Nader A. Nerve block of the infrapatellar branch of the saphenous nerve in knee arthroscopy: a prospective, double-blinded, randomized, placebo controlled trial. J Bone Joint Surg Am 2013;95:1465-72. Paul JE, Arya A, Hurlburt L, Cheng J, Thabane L, Tidy A, et al. Femoral nerve block improves analgesia outcomes after total knee arthroplasty: a meta-analysis of randomized controlled trials. Anesthesiology 2010;113:1144-62. Fowler SJ, Symons J, Sabato S, Myles PS. Epidural analgesia compared with peripheral nerve blockade after major knee surgery: a systematic review and meta- analysis of randomized trials. Br J Anaesth 2008;100:154-64. Kim DH, Lin Y, Goytizolo EA, Kahn RL, Maalouf DB, Manohar A, et al. Adductor canal block versus femoral nerve block for total knee arthroplasty: a prospective, randomized, controlled trial. Anesthesiology 2014;120:540-50. Espelund M1, Grevstad U, Jaeger P, Hölmich P, KjeldsenL, Mathiesen O, et al. Adductor canal blockade for moderate to severe pain after arthroscopic knee surgery: a randomized controlled trial. Acta Anaesthesiol Scand 2014;58:1220-7. Abdallah FW, Whelan DB, Chan VW, Prasad GA, Endersby RV, Theodoropolous J, et al. Adductor canal block provides noninferior analgesia, and superior quadriceps strength compared with femoral nerve block in anterior cruciate ligament reconstruction. Anesthesiology 2016;124:1053-64. Dong CC, Dong SL, He FC. Comparison of adductor canal block and femoral nerve block for postoperative pain in total knee arthroplasty: a systematic review and meta-analysis. Medicine (Baltimore) 2016;95:e2983. Li D, Ma GG. Analgesic efficacy and quadriceps strength of adductor canal block versus femoral nerve block following total knee arthroplasty. Knee Surg Sports Traumatol Arthrosc 2016;24:2614-9. Xing Q, Dai W, Zhao D, Wu J, Huang C, Zhao Y. Adductor canal block with local infiltrative analgesia compared with local infiltrate analgesia for pain control after total knee arthroplasty: a meta-analysis of randomized controlled trials. Medicine (Baltimore) 2017;96:e8103.